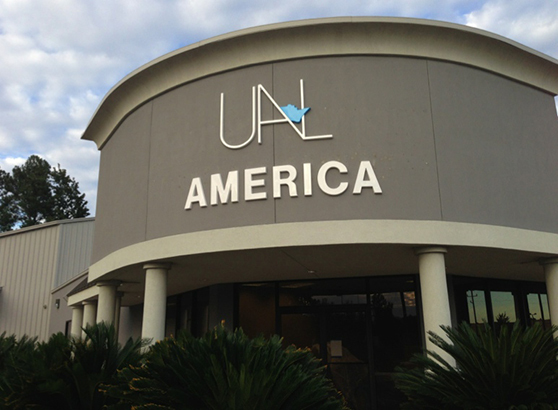 UAL America, Houston, a member of UAL Alliance, is the US general agent of UAL Ltd. – Universal Africa Lines – and deals with the shipping line’s customer relations management, bookings, documentation and collections with all the major customers. Their in-house port captains handle the loading and unloading of UAL vessels at the Manchester terminal in Houston. UAL America is also in charge of in-house container maintenance and repair. UAL America proudly offers over 25 years of unrivalled successful project management and dedicated customer service and recently has been appointed General Agent in America of UAL Universal Americas Lines. UAL Universal Americas Lines is a new independent shipping line, which benefits from the group’s 40 years experience and was initiated, based on the rising customer demand for an alternative carrier to LAM/Caribbean. The new service will join the US Gulf-West Africa service, which has operated for 25 years. Primary ports of UAL Universal Americas Lines are Houston’s Manchester Terminal/USA, Veracruz/Mexico, Port Lisas/Trinidad, Georgetown/Guyana, Paramaribo/Suriname, Barranquilla/Colombia, and Rio de Janeiro and Santos/Brazil. Other ports will be called on inducement.